Across West Texas, there are numerous caves prehistoric people lived in, but many of these sites have been destroyed by looters. They’ve made it difficult for archaeologists to learn about the people that came before us. Out on Pinto Canyon Ranch — about 16 miles from Ruidosa — there’s one distinctive cave called Spirit Eye. 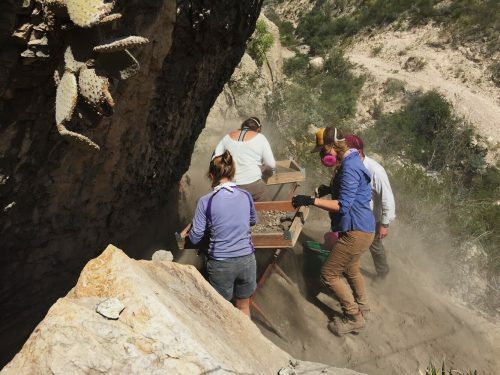 This site is forcing researchers to collaborate with looters, giving more insight into what life was like thousands of years ago in the Big Bend. Schroeder’s been following clues and tracking down artifacts taken from the cave, finding items like baskets, sandals, and corn. He’s had to comb through letters and photographs that show Spirit Eye has been haphazardly dug for several decades. It’s easy to see why people would be drawn to exploring this place. It has two distinctive triangle-shaped entrances (which is why it was named “Spirit Eye” by former CBBS director Robert Mallouf). Once inside, you can’t help but marvel at what’s in front of you. It’s the kind of cave you’d imagine exploring as a kid. You walk through a triangle-shaped corridor that opens into a larger chamber. From there, there’s a narrower shaft that goes all the way to the back, most of which has remained untouched. Schroeder and his crew have been carefully identifying what parts of Spirit Eye were disturbed by the folks who would dig up artifacts. 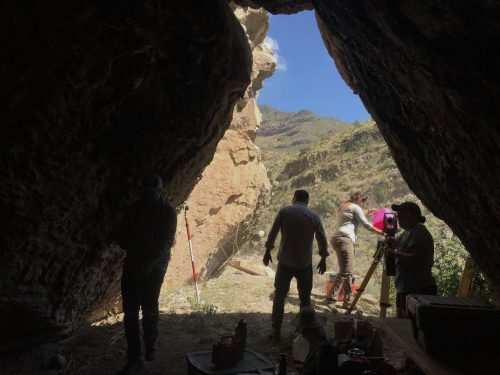 On this particular day, the team is going back through the dirt that’s already been sifted by looters towards the front of the cave, trying to see if they’ve missed anything of value. But who lived here? That’s what Schroeder and his crew are still trying to figure out. Right now, they don’t really know because the research is in such early stages. (Schroeder’s been studying the cave since 2017). But he has identified three distinct periods of occupation — 1,500, 2,000 and 5,000 years Before Present. As they continue to date items he’s found scattered across the country, the archaeologists will start to get a better idea. Although there are looted caves across the region, Spirit Eye is distinctive because the correspondence he’s pored over explicitly describes this cave. Its unique qualities make it possible for him to confidently tie back the far-flung collections to this particular location. 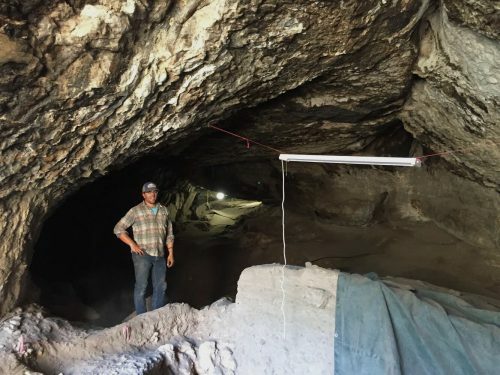 Since the cave is on private land, a slew of different people has either trespassed onto the property or were allowed to dig by the various landowners over the years. This includes families, border patrol agents, a barber, some guys from Colorado, and even a USDA cattle inspector. As Schroeder’s dug deeper into Spirit Eye’s history, he’s realized he doesn’t have much of a choice. Beyond artifacts being taken, people have also been removed from the cave. That raises ethical concerns for him because the bodies need to be properly taken care of. “You can’t really walk away from that,” he says, adding that his team needs to figure out where the bodies are. He knows of at least three bodies that were taken from the Spirit Eye. In one of many bizarre instances, a Californian bought one of them for $4,500 in the late eighties (the purchase also included a sizeable collection smaller artifacts). The body was listed in the back of a gun magazine. After several years, the man who made the purchase was eventually investigated for exotic animal trafficking. That’s when authorities found the remains in a terrarium on the ground. The body was finally moved to the University of Texas at Austin. This body was initially found by a group of men who regularly dug the cave in the sixties. They paid the landowner at the time $2 per person to access Spirit Eye. When the group stumbled upon the burial, they realized they were doing something wrong and sought help by writing to archaeologists around the state. But the site’s remote location and scarce archaeological resources left Spirit Eye largely went unresearched — until now. Perspective — something these archaeologists hope to glean as they continue to sift through artifacts, carefully telling the story of the people who roamed the desert before us. Diana Nguyen produces the interview program West Texas Talk. 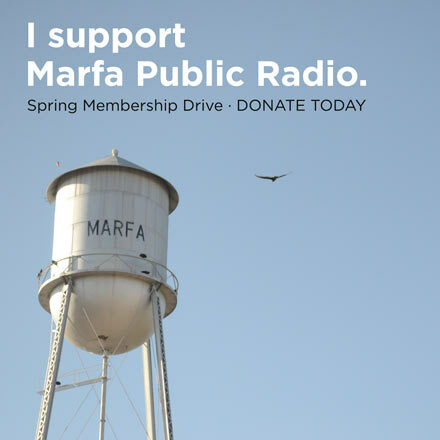 She is particularly interested in exploring the intersection of range life, high-brow art, and the vast oil fields of West Texas. 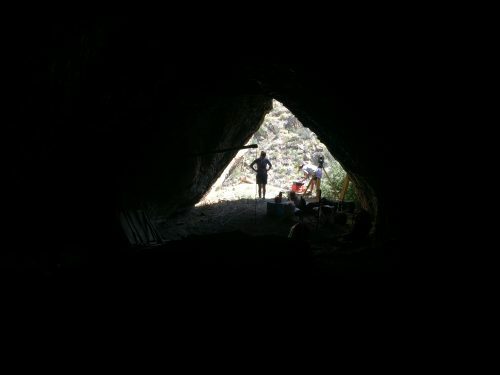 This entry was posted in KRTS News and tagged archaeology, Center for Big Bend Studies, Spirit Eye. Bookmark the permalink.